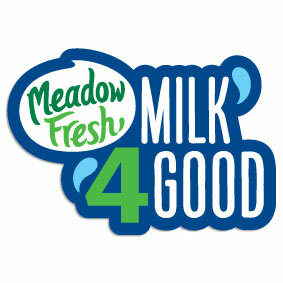 Meadow Fresh is running a Milk 4 Good fundraiser, and we’re proud to be one of the four charities selected to take part. Meadow Fresh will travel around Auckland in a milk truck and give away one litre bottles of milk in exchange for a gold coin donation. The donations will go to one of four charities, which includes the Blind Foundation Guide Dogs. The first Milk 4 Good event is this Saturday, 24 June. We also have a designated event on Sunday, 9 July at Glenfield Market, when all of the donations will go to Guide Dogs. Find out when the Milk 4 Good truck will be in your neighbourhood and swap a gold coin for a bottle of milk. Keep an eye on the Meadow Fresh Facebook page and Meadow Fresh website for the latest good news on dates, locations and fundraising totals. Jude Henderson and Israel Coello represented the Blind Foundation at the Z Tamatea station on Friday, 16 June. 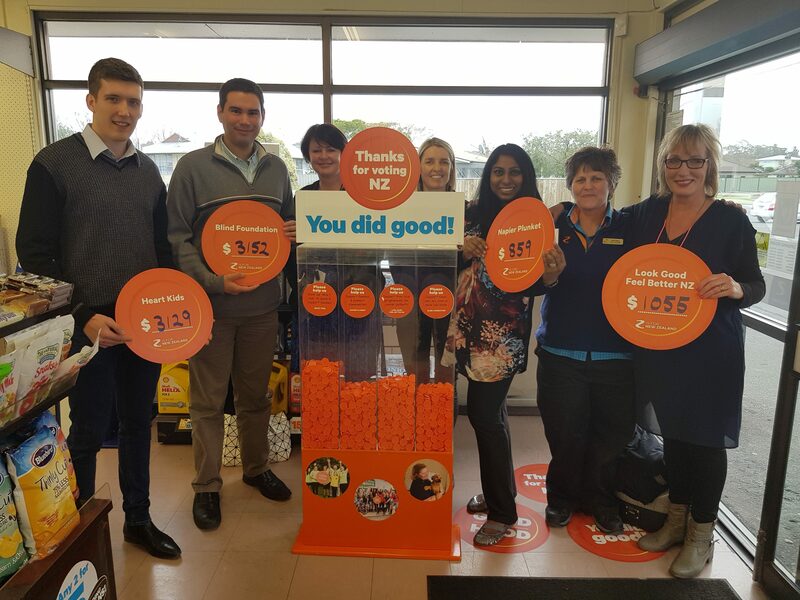 They received a cheque for $3,152 – an accumulation of contributions from Z Tamatea (Napier), Z Gisborne and Z Windsor (Hastings). We send a huge thank you to all that voted for us with their Good in the Hood tokens.